Husband and wife, Susan and Archie became Rush’s latest franchisees taking the brand for the first time to Birmingham. They share why they chose to franchise with Rush and about opening in a new area. Susan, Archie tell us about yourselves – what did you do before opening Rush Birmingham? SUSAN: I’ve worked from a young age, throughout my teens I worked in my father’s retail business and I knew I wanted to own my own business too. I owned a franchise earlier in my career so I understand the process and the importance of maintaining a high quality business to live up to the Rush brand. SUSAN: I instantly felt supported, the team really know what they were doing. I felt very confident when I met the Chairman and discussed the process and locations. Rush is a big brand with a fully equipped team behind them, I knew franchising would work well alongside a renowned brand with a good reputation. ARCHIE: We were very impressed with the Rush Head Office team and felt confident going forward to open our franchise, the team are very hands-on and have all the bases covered. How was the franchising process? SUSAN: Absolutely fantastic, so amazing. I had been in franchising before and this is a completely different experience. There has been so much contact and ongoing meetings and training sessions for us and my team which has been great. I’ve felt at ease knowing every department is just a phone call away. I don’t feel I’m alone in opening and running my salon. Why did you choose to open Rush in Birmingham? ARCHIE: Birmingham is the second best city in the UK with enormous potential for businesses. 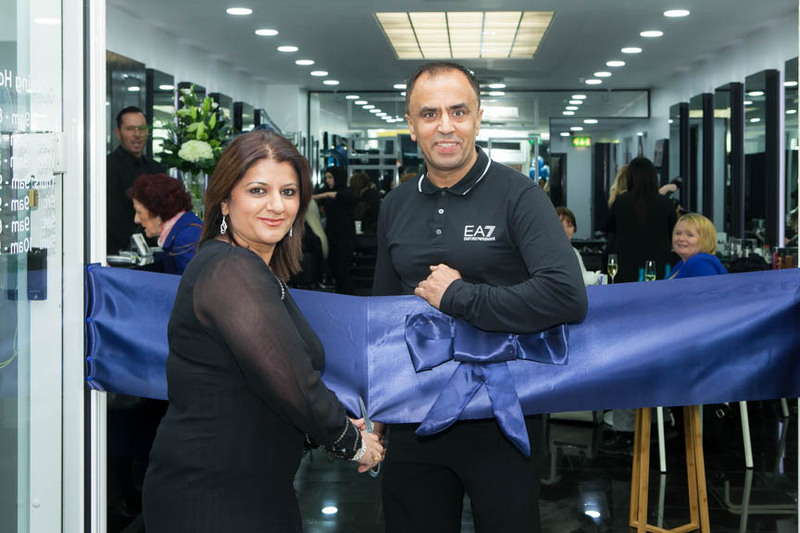 There are no Rush salons in the Midlands so we wanted to be the first to open one in a prime location in Birmingham city centre. SUSAN: I’m very excited and proud to open Rush in Birmingham, it’s a big, well-known brand that will be very popular in the city.